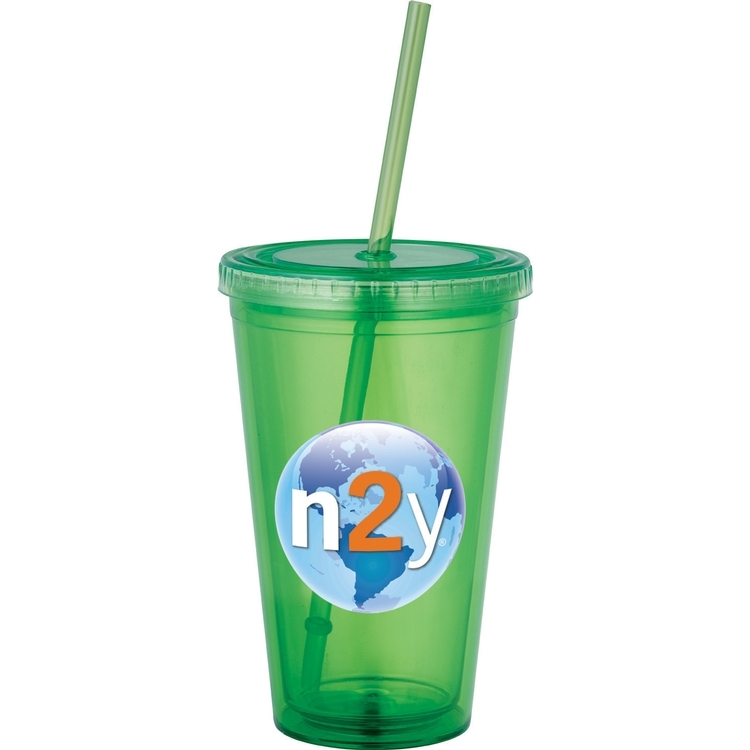 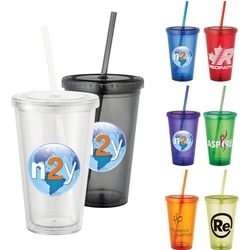 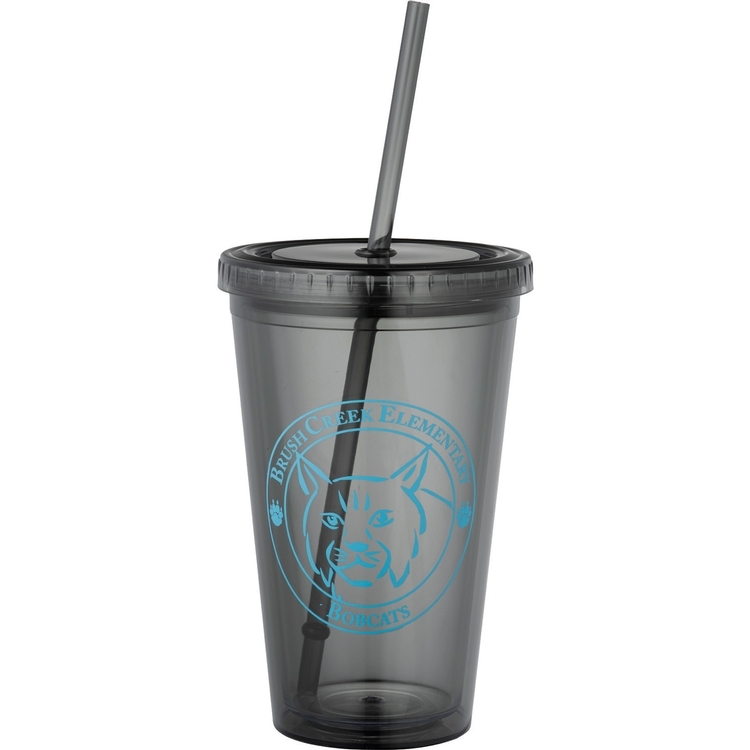 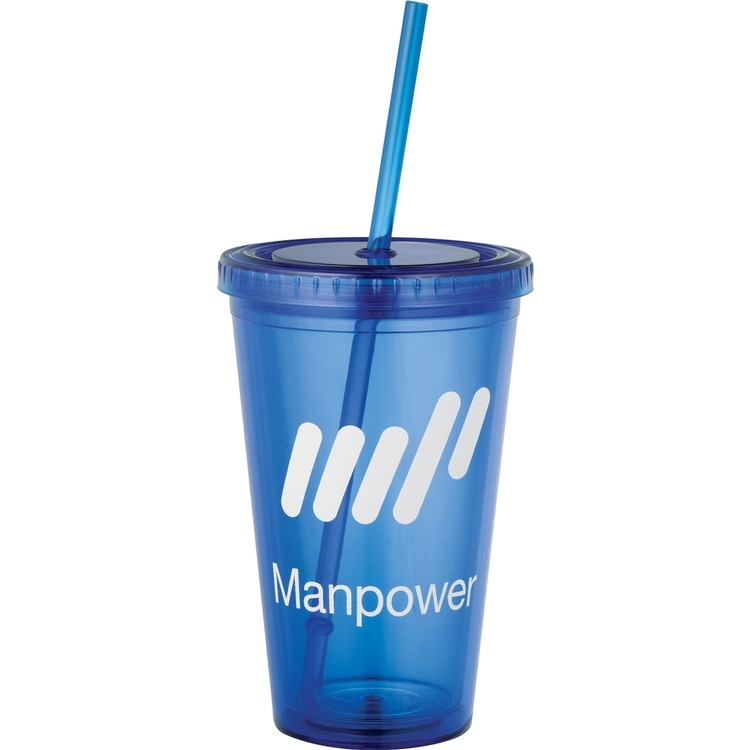 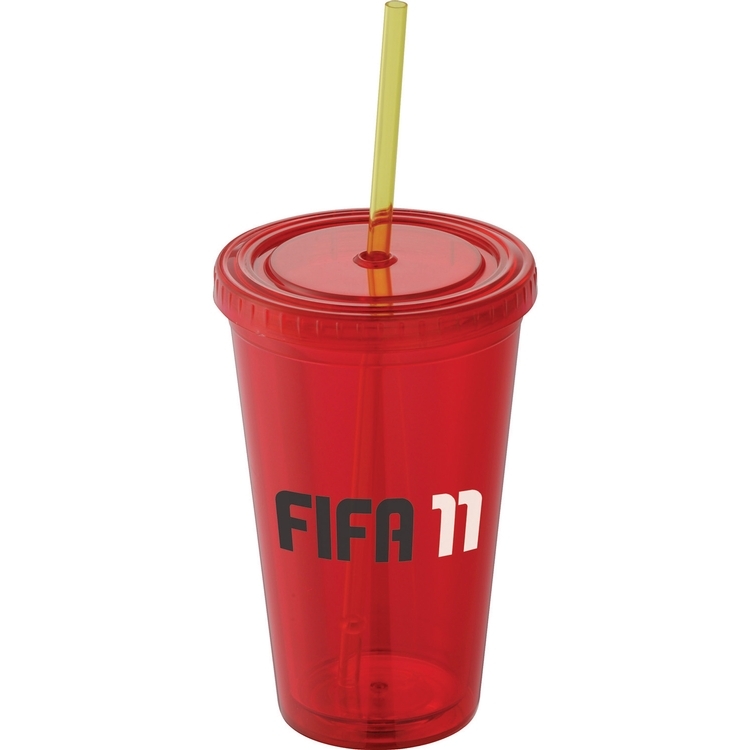 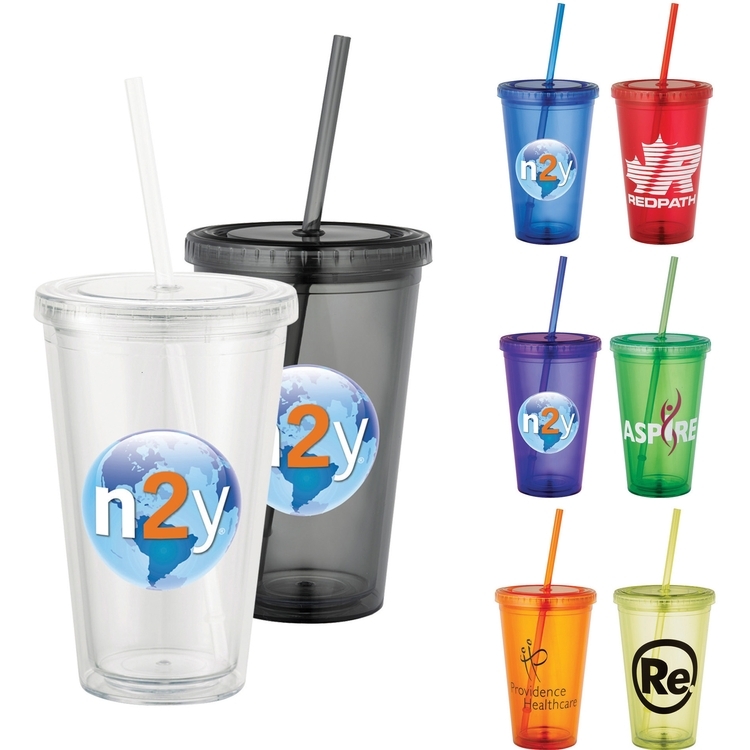 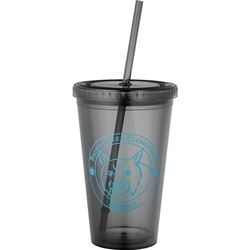 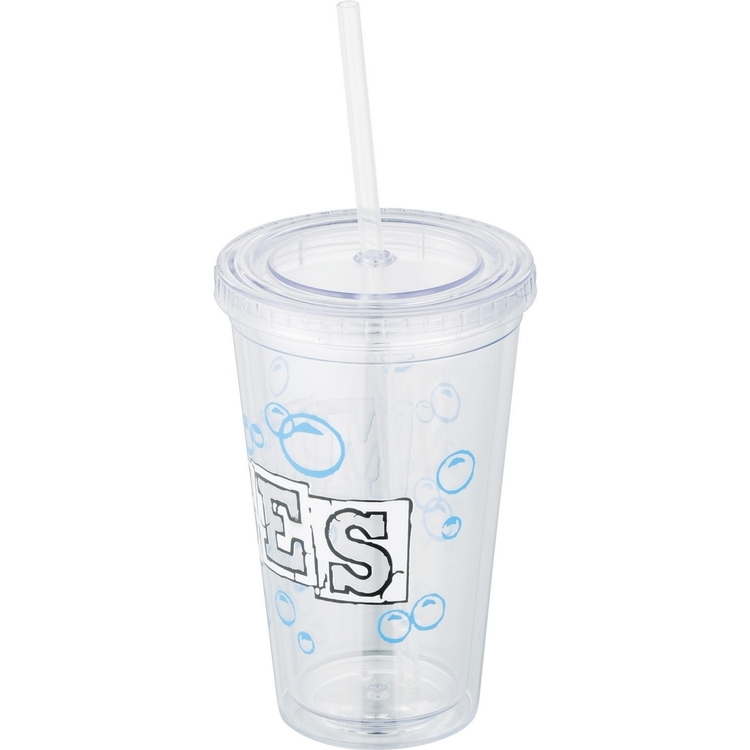 Double-wall acrylic tumbler and straw with stopper. 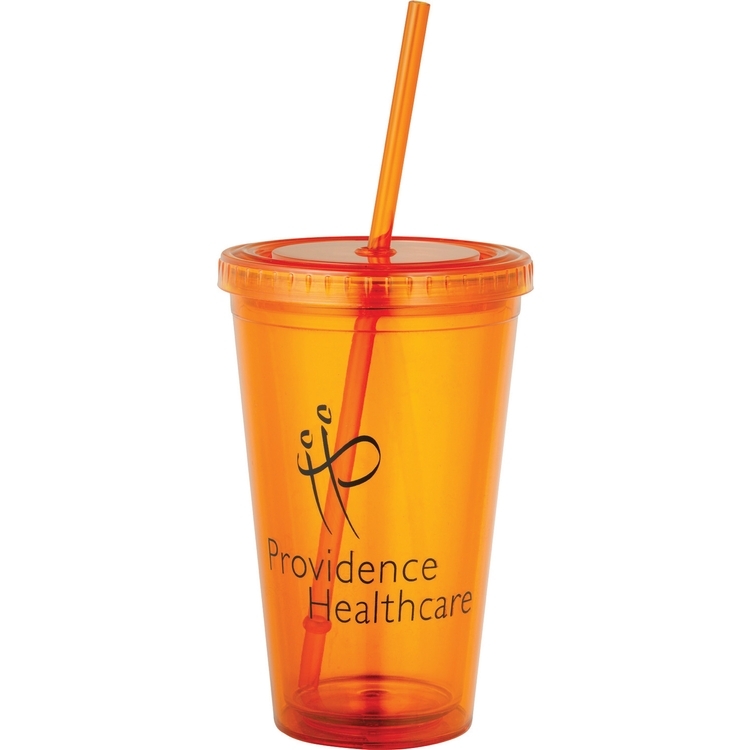 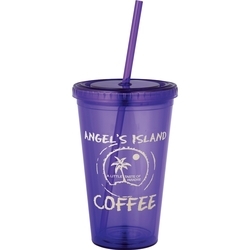 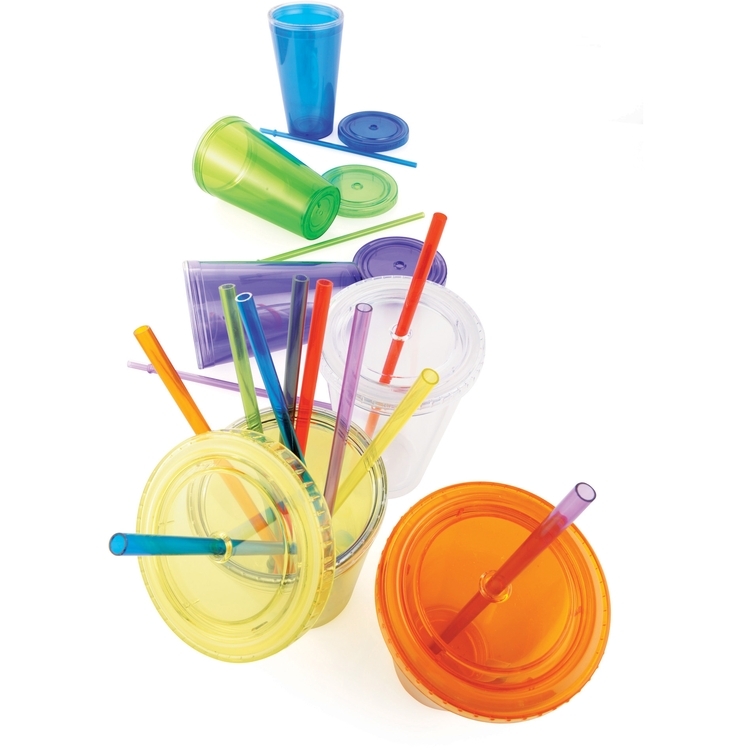 Product ships with matching color straw unless specified otherwise in purchase order. 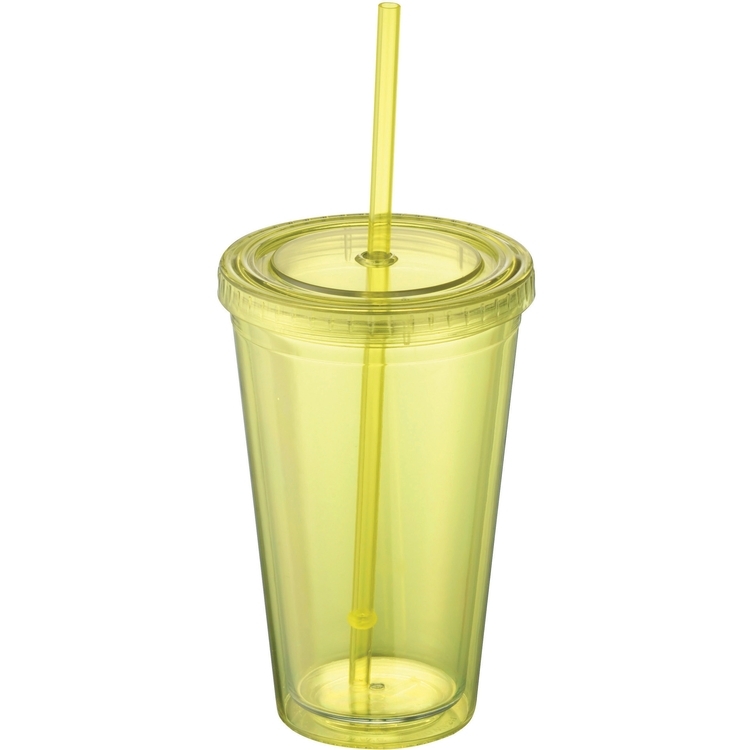 6.25" H x 2.5" D x 16 oz.